If the iconic New York Public Library on Fifth Avenue doesn't inspire you to read, maybe a 26 foot tall sculpture made from books will...it's hard to miss the message! As part of Target and the National Education Association's Read Across America campaign that aims to get kids excited about reading, Target unveiled the installation this morning, along with a day of activities at the library. 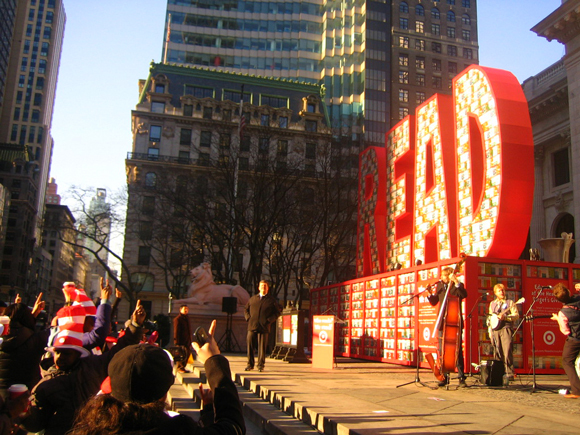 Created from 25,000 classic Dr. Seuss books, the sculpture will be on view in front of the library on Fifth Avenue between 42nd and 40th Streets through Friday, February 25. The books will be donated to NYC public schools following the event. 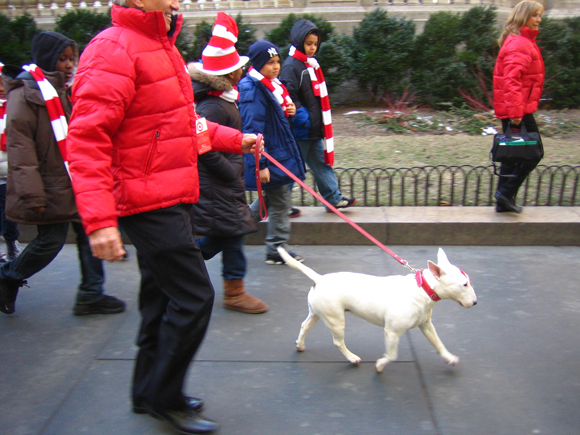 To add some spice to the program, actors Mark Ruffalo and Uma Thurman showed their support at the morning's festivities, and Target's beloved mascot, Bullseye the bull terrier, roamed the crowd and posed for photos with fans. Who reads? 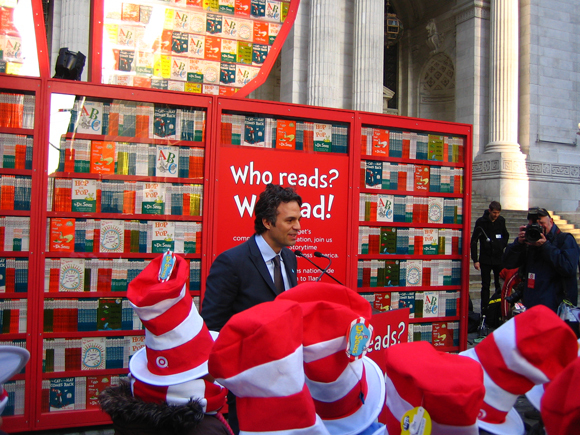 Mark Ruffalo reads! Interested in holding an event on the NYPL Terrace? Read through our Event Planning Guide and submit your proposal to the BPC Events Department.